"Christmas at Long Beach Veterans Hospitals"
The USO provides entertainment for US Troops serving abroad and brings entertainment to the men and women who dedicate their lives to serving their country. The USO was founded in 1941 and continues bring entertainment and music to US Troops around the world today. 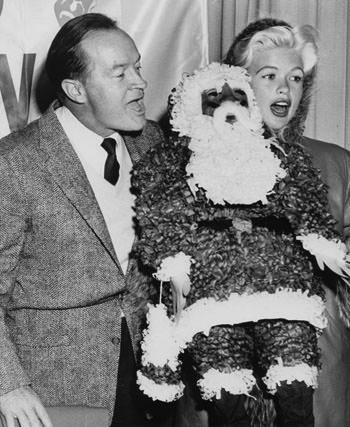 Bob Hope lived to be 100 years old, which means he celebrated Christmas 100 times. Often Bob Hope dedicated his Christmas to troops serving abroad by providing them with laughs and smiles. 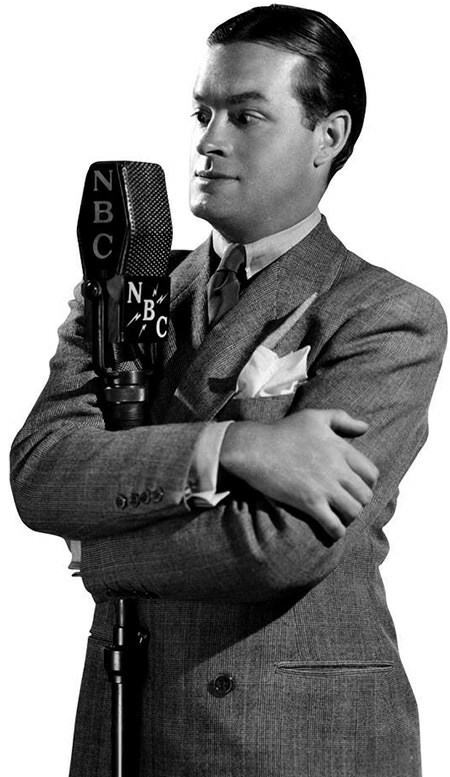 He started his tradition of Christmas broadcasts for the troops in 1948. Hope appeared in almost 200 USO (United Service Organization) shows starting in 1941 and served as USO's "Ambassador of Good Will." He was honored by the US Congress as an "honorary veteran of the US Armed Forces." Bob Hope had big heart for troops serving at home and abroad and holds a special place in the hearts of veterans. His popular comedy routines often brought pretty women and actresses who reminded US Service Men "what they were fighting for." His charm and self-depreciating humor entertained troops and the Bob Hope Christmas Tour soon became a Christmas Tradition. This collection includes Bob Hope's appearances in Christmas specials from the golden age of radio. Notable episodes are his appearances at the Long Beach Veterans Hospital, Kraft Music Hall with friend Bing Crosby and Spike Jones, and many appearances on Command Performance. There are also Christmas Specials from the Bob Hope Show. The shows arrived and I am enjoying them as I have with all of the others that I have ordered from you. I particularly enjoy Bob Hope's Christmas Shows. While I was in the Navy I was a helicopter crewman. I had the great pleasure of flying Bob Hope's USO troupe in both '67 & '68. My family bought me "Bob Hope, The Viet Nam Years". There I was on disc two.